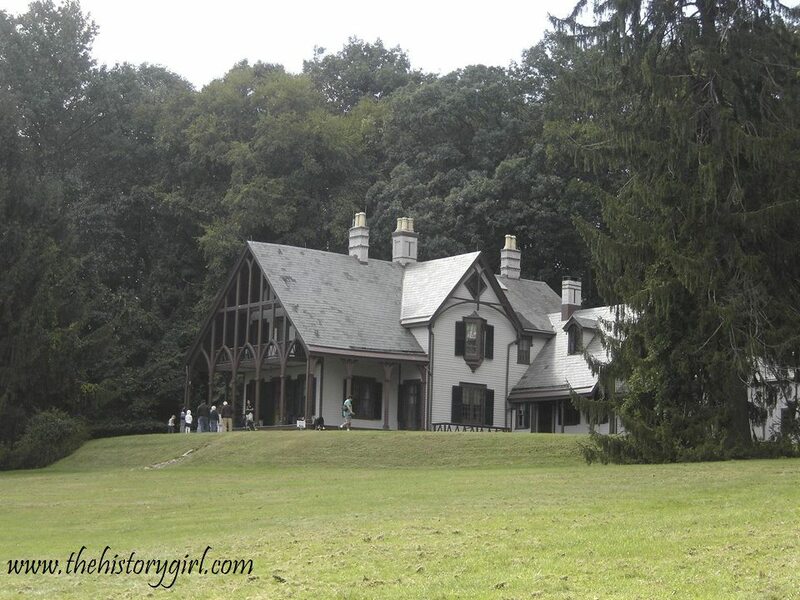 NJ Weekend Historical Happenings: 8/1/15 - 8/2/15 ~ The History Girl! The Old Barracks Museum invites you to enjoy an evening of music and history with its fourth annual Taptoe Concert Series. On the evenings of July 31 and August 7, The Fifes and Drums of the Old Barracks will perform a selection of military tunes, followed by Scottish tunes and dancing as performed by Shot of Scotch Scottish Highland Dancers. The museum will be dramatically illuminated by torches and candles, providing the perfect back drop for the evening. "Taptoe" is the 18th-century term for the time when the musick and guard would march about a garrison town, signaling the taverns to close their taps and for the soldiers to return to their barracks. Join Elizabeth Schuyler Hamilton, wife of Alexander Hamilton, on a tour of the Ford Mansion! Find out who concocted a plan to bring them together in Morristown and how they conducted their courtship. Explore Hamilton's incredible and lasting contributions to the American Revolution and to the fledgling republic! Programs at 1:00, 2:00, and 3:00 pm at the Ford Mansion, within Morristown National Historical Park. Cost: $7 per adult. For more information, call 973-539-2016 ext. 210 or visit www.nps.gov/morr. On Sunday, visit Historic Longstreet Farm in Holmdel to watch and learn about making penny rugs at a demonstration. This free event runs from 1:00 - 3:00 pm. Historic Longstreet Farm is located at 44 Longstreet Road, Holmdel, NJ. For more information, call 732-946-3758 or visit www.monmouthcountyparks.com. On Saturday from 12:00 noon - 3:00 pm, spark your creative energy with a visit to Updike Farmstead in Princeton! Be inspired by artists from HomeFront's ArtSpace program as they paint "en plein air." Visitors can learn more about ArtSpace, as well as view and purchase completed work. Pack a picnic lunch and join in the fun with painting, games and a scavenger hunt around the six-acre property, then venture inside the farmhouse to see vintage photographs of farm life. Explore the Unity Garden and pick some veggies and herbs to take home and enjoy. All activities are included with $4 museum admission. The Historical Society is pleased to be a collection site for Homefront, which works to break the cycle of poverty and end homelessness in Central New Jersey. Donations of non-perishable food items, toiletries, linens and household items are accepted at Updike Farmstead at every First Saturday Community Day. Updike Farmstead is located at 354 Quaker Road, Princeton, NJ. For more information, contact Eve Mandel, Director of Programs and Visitor Services, at 609-921-6748 x102 or visit www.princetonhistory.org. Greasy luck to you! All hands on deck for an entertaining evening of spell-binding stories when living historian David Emerson brings his tales, "Greasy Luck: Stories of a New England Whalerman" to the Museum of Cape May County on Saturday at 7:00 pm. Sit inside a room filled with historic whaling tools as we learn about the life of Capt. Leland Emerson, master of the brigantine Sarah Ann as he recalls the trials and tribulations of living aboard a whaling ship and his adventures at sea while searching for a great white whale. David Emerson has appeared in Colonial Williamsburg, Plimoth Plantation, Morristown National Historical Park and The Old Barracks Museum in Trenton. He has performed for hundreds of museums, libraries, historical societies, festivals, schools and community organizations throughout the Northeast. This exciting, high-seas adventure is free and open to the public. Appropriate for adult and adolescent audiences. The event will take place in whaling room of the historic barn of the Museum of Cape May County, 504 Route 9 North, Cape May Court House, NJ. For more information, call 609-465-3535 or visit www.cmcmuseum.org. Ghost-One, a paranormal research team based in Pennsylvania, has done extensive investigations at the 1879 Emlen Physick Estate in Cape May, NJ. Experience one of their ghost hunts up close. 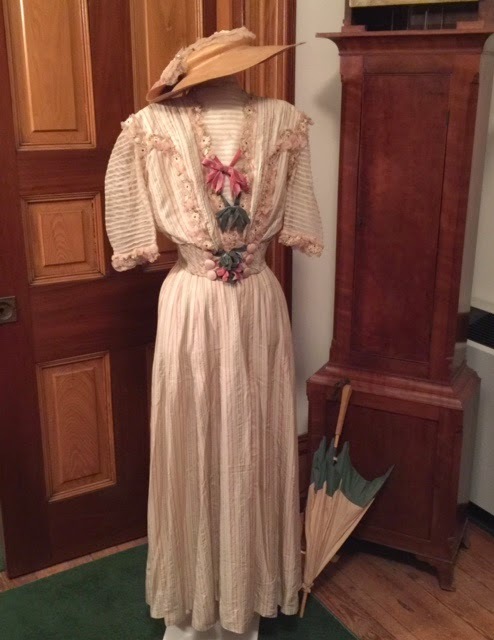 Try your hand using some of their investigating tools as you attempt to capture EVPs (electronic voice phenomena) in different rooms inside the Physick Estate. Afterwards, join your fellow ghost hunters at the Carriage House Café & Tearoom on the grounds of the Physick Estate over dessert to discuss your findings. Tickets are $30 and each tour is limited to 50 people. Program begins at 7:45 pm. Sponsored by the Mid-Atlantic Center for the Arts & Humanities (MAC). For more information or to make reservations, call 609-884-5404 or 800-275-4278 or visit www.capemaymac.org. Decorate boats and sail them in the tail-race at the Cooper Gristmill in Morris County. Please wear closed-toe shoes or boots. Cost: FREE. Boats can be purchased for $10 (Friends members $5), or borrowed for FREE. The Cooper Gristmill is located at 66 Route 513, Chester, NJ. For more information, call 908-879-5463 or visit www.morrisparks.net. On Saturday at 11:00 am, participants discover what it was like to be a student attending a one-room schoolhouse in Colonial times. The school supplies then included not only items such as slates and books, but also buckets and logs. Participants will also have the opportunity to share their memories of early school experiences. For senior citizens. 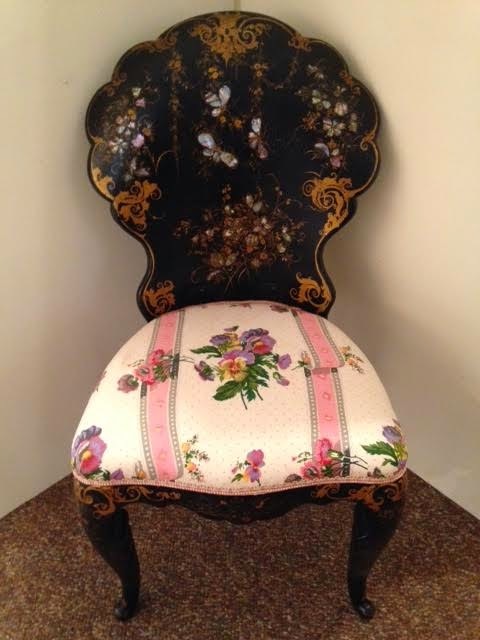 Presented by the staff of the Museum of Early Trades and Crafts. Maximum 25 attendees. Howell Farm's farmers will contribute by running hayrides, giving tours, and conducting historical farming demonstrations out in the fields. Free admission and free parking. The fair will run Saturday from 10:00 am - 8:00 pm and Sunday from 10:00 am - 4:00 pm. On Saturday and Sunday, don't miss out on a chance to walk into the past! The Red Mill Museum Village in Clinton, NJ will host the annual Revolutionary War Days. The event will feature Patriot and Loyalist encampments. Infantry, militia, artillery, and cavalry units from the Continental Army and British Brigade will face each other in daring skirmishes. Demonstrations including mounted horsemen practicing cavalry tactics and so much more, will wow spectators each day from 10:00 am - 4:00 pm. Watch war-time drills, weapons firing, period demonstrations, first person portrayals of influential Revolutionary War figures, open fire cooking, a blacksmith and even a replica Revolutionary War boat. Come learn about how families in the town of Clinton and surrounding area felt about the war, while listening to the hammer dulcimer and fiddle carry the tunes of the 18th century. The event will be held rain or shine at the Red Mill Museum Village, located at 56 Main Street in Clinton, NJ. Admission is $10 adults, $8 seniors, active military and veterans, $6 children 6-12, free for members and children under 6. Municipal parking is available near by. For more information, call 908-735-4101 or visit www.redmill.org. Special exhibits throughout the Village will include collections of antique and modern farming equipment and hand tools, as well as demonstrations of natural wool dyeing methods. Visitors can tour the historic Gandy Barn, c. 1880, which is now home to Levi the horse and Nugget the calf. In the morning, Levi and the Village farmers will demonstrate horse-driven farming techniques. During the afternoon, visitors can take horse and carriage rides around the Village - free with admission! Guests can also visit the Village sheep, pigs, chickens and calf. The Jersey Cape Beekeepers Association will have an observation hive with live bees at the event. The Family Activity Area will feature children’s dress-up clothes, games, and corn husk doll-making. The Village will also host the 5th Annual Dog Show on Saturday from 10:00 am - 12 noon. Have some old-fashioned fun as you take on the same games that the soldiers and the Wick family played. Try your hand at nine-pins, quoits, trap-ball, nine-man morris, fox and geese, and other eighteenth century games. Program runs continuously from 1:30 - 4:00 pm at the Wick House in Jockey Hollow, within Morristown National Historical Park at 580 Tempe Wick Road, Morristown, NJ (approximate). Cost: Free. For more information, call 973-543-4030 or visit www.nps.gov/morr. 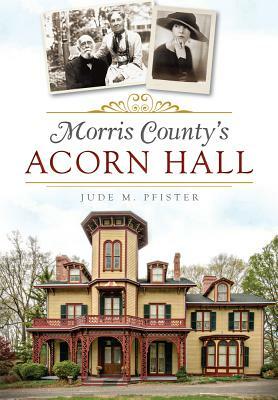 Join Morristown National Historical Park's Chief of Cultural Resources, Dr. Jude Pfister, as he gives a talk about his new book, Morris County's Acorn Hall. Dr. Pfister will provide some vital insight into this local treasure and give an overview of the involvement of park staff in the founding of Acorn Hall and the Morris County Historical Society from its earliest days. Program begins at 1:30 pm in the Washington's Headquarters Museum Auditorium, 30 Washington Place, Morristown NJ. Admission: Free. 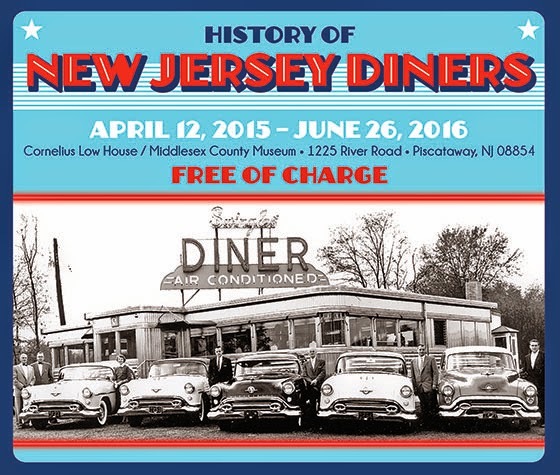 For more information, call 973-539-2016 ext. 210 or visit www.nps.gov/morr.